After deducting the admin commission, admin will make rest of the payment to seller. Seller payment and admin commission only includes product cost. If any tax or discount or any other value is added in order that cost remains with admin but admin can make any payment to seller as admin wants as we do not stop admin from making any additional payments to any seller. That payment record will be saved and can be accessed by admin or seller any time. Admin can make payment to seller in any mode, in Purpletree Multivendor, admin only has to record the payment. Like if Payment is done by cheque, then record the cheque number in transaction id and set the status to “In Process” until the cheque is cleared. Whenever cheque is cleared edit the payment record and change the status to “Complete”. Admin and seller both can view all the payment records any time, but only admin has to permission to add/edit any payment record anytime. Total Sales includes total of all the seller products sold on website. This amount excludes any tax payment, discount or any other cost added in main order total. Commissions is the admin commission which is calculated based on Commission criteria, Commission is only calculated for orders which are completed by admin after seller order completion means Admin has to set each seller order complete(Re-verify) in seller orders view from admin in order to get commission of each order. Paid Amount is the total payment made to seller by admin, this payment includes all the payment records no matter that payment is completed or in process or even cancelled, As long as the record of the payment is in the list that payment is recorded in paid amount. Admin can make payment to seller from seller page or from Payments page. 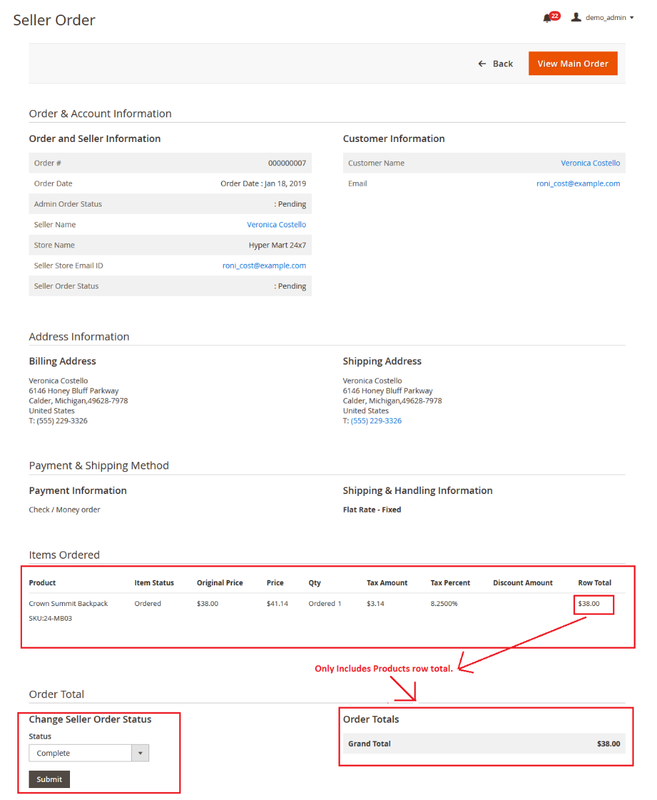 To make payment from Sellers page edit the particular seller from sellers list, then click on Payments tab. There you see the list of payments done to seller and Make Payment button. Click on “Create Payment” button and record the payment. Alternatively From Manage Payments Click on Add New Payment and Select seller from list and add payment record for any seller. Amount – Total amount paying to seller. Seller – Select Seller from list to which payment is to be made. Status – Enter status of the payment, like In Process, Hold, Complete. Hope this article was helpful in explaining payments and commission procedures.If still any queries, do no hesitate to contact us.